It's a beautiful looking car which makes you feel amazing driving it on the road. Having recently tested the Tesla Model X which is an SUV, I was interested to see how the Model S would stack up for a family. I'm a fan of electric cars purely because they're emission free, but am well aware of the shortcomings of such a young industry in Australia. I was in the 75D which is the entry level model, so how did it fare over a full week of driving my family of four around, and did it run out of charge? Read below to find out. One of the reasons I loved this car (and yes I know love is a strong word, but I think it's applicable here), is that it makes you Speed Smug. What's Speed Smug? Well, thank you for asking. It's that particular smugness which comes with knowing you will be faster than the car next to you. Without doubt. So, you know when you're at a red light and need to change lanes before the parked car up ahead, but you're unsure whether you'll beat the car next to you? With the Tesla Model S, you know you will. You just know. The Model S 75D gets from 0-100km/h in 4.4 seconds, and the 100D does it in 2.8 seconds. And knowing that you will be faster than the car next to you feels really good. Hence the term, Speed Smug. Can the quiet achiever live up to its smooth reputation, and justify its not insubstantial price-tag? Second up is the silence. For a car to go this fast traditionally, there is a lot of sound that comes with it. Fast cars are loud, it's one of their traits. But the Tesla is quiet. There are no growls, there are no grunts. Just a soft, low whistling that sounds like it's straight out of Star Trek. It's how you know this is the future, rather than the past of the car industry. It literally whizzes up hills, sticks flat around corners and is basically like you're driving a spaceship, or at least, the next best thing. It's a sizeable car, but this had to be pointed out to me because I had no trouble parking it - the high definition reverse parking camera takes away any doubt about how much room you've got behind you, because it also tells you exactly how many centimetres you are away from hitting something. And if you do get too close there's a pleasant bell sound rather than the usual panic inducing beeping. The exterior is swish. Elongated, curved lines give it a premium look and feel and there is something understated about it which lends that extra level of luxury. It's a beautiful looking car which makes you feel amazing driving it on the road. Inside is lush. The Model S I tested came with a sharp black and white interior which is a classic colour combination that works brilliantly. I'm not sure how practical the white is for families however by some miracle my two girls kept it clean for the entire week which is definitely not normal! But gosh it looks good. The exterior is swish. Elongated, curved lines give it a premium look and feel and there is something understated about it which lends that extra level of luxury. The seats were so soft and smooth that I was completely convinced they were a buttery leather, but it's actually a vegan leather. You wouldn't know it though, and it made me wonder why we even need leather if they can make vegan versions this good. Everything about the design, from the dash to the way the centre console and storage is designed, to the practically all-glass roof, gives the car a luxurious finish. Of particular note are the door handles which ebb and flow like a soft, rolling wave and are a pleasure to pull open every day. Everything about the design, from the dash to the way the centre console and storage is designed, to the practically all-glass roof, gives the car a luxurious finish. I thought there'd be less space than in Tesla's Model X SUV, and while the two offerings are completely different (one is higher off the ground, one is lower), the Model S still has a huge amount of interior airspace. The front has plenty of leg and head room, my 185cm husband fit with lots to spare. The children (aged four and six) had a bunch of room in the back seat and I always find there's less bickering if they're further apart. Plus there is space enough for a third child's seat in the middle. The boot is enormous. At 744 litres it’s bigger than most SUVs. Anything I could fit into an SUV standing up, I could fit lying down in the Model S.
The front boot isn't huge but is an extra 150 litres and could fit sports bags or groceries for example. And the boot is enormous. At 744 litres it's bigger than most SUVs. 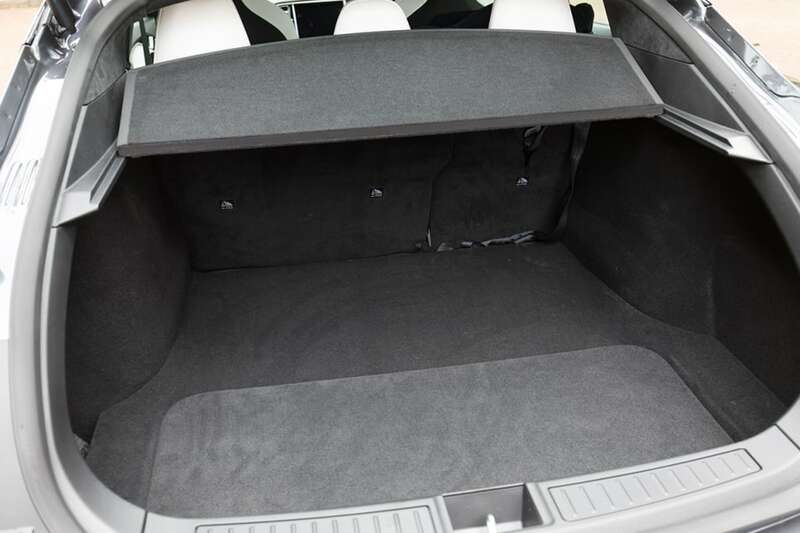 Anything I could fit into an SUV standing up, I could fit lying down in the Model S, and there is an extra deep spot of extra storage with a lid you can remove, just in case you do need vertical space. 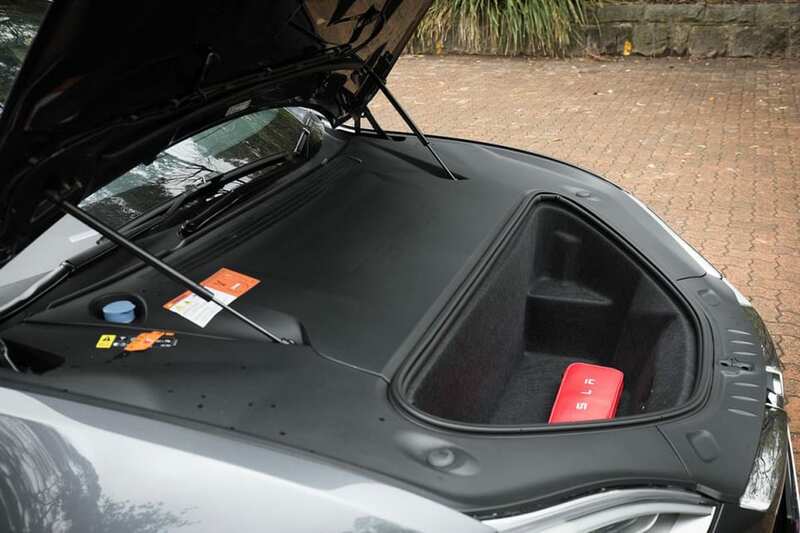 Plus there's the front boot - where the engine normally is - it's not huge but is an extra 150 litres and could fit sports bags or groceries for example, if you had kids' bikes in the boot. So there is a bunch of space. How easy is it to use everyday? Being a sedan, there are the usual questions: how annoying is it to bend down and do the kids' seat belts up? And yes, there is that, but I didn't seem to mind so much in this car because there are a number of clever components that more than make up for it. Inside is lush. The Model S I tested came with a sharp black and white interior which is a classic colour combination that works brilliantly. There are four cupholders in the front with two that double as a bottle holder, and two cupholders in the back. Rear air vents keep back passengers cool and there is a convenient front storage spot to throw keys and phone. 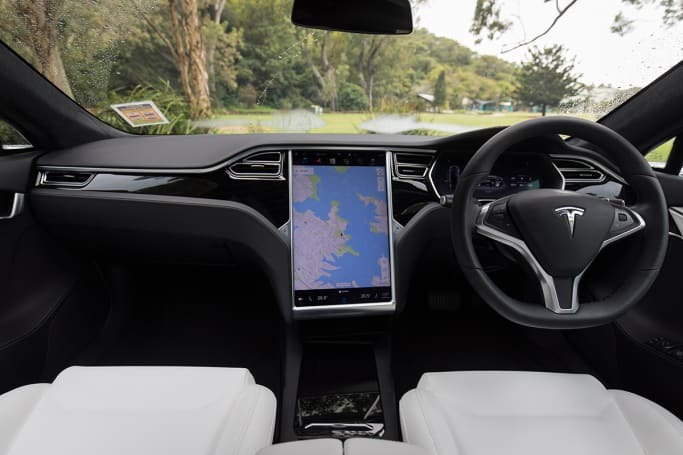 The Tesla saves your driving position so if you are switching between yourself (a little 161cm) and your tall husband like I was, there's no stress about repositioning the driver's seat. There are also heated seats throughout the car and a heated steering wheel for icy mornings, plus another load of features making the whole driving experience easier for everyone in the Tech section below. The touchscreen is 17 inches of advanced technology. It links to your phone and has mobile connectivity which means you can search for things like restaurants while you're in the car. It also has Google maps on the sat nav which meant I actually trusted the fastest route advice, plus a calendar which connects to your phone so you can see what's on for the day. The screen shows you how much charge you have left, and if you type in a destination it will tell you much charge you'll have left after driving there. It's clever. New features get downloaded straight over-the-air to the car and that's how your car is updated. 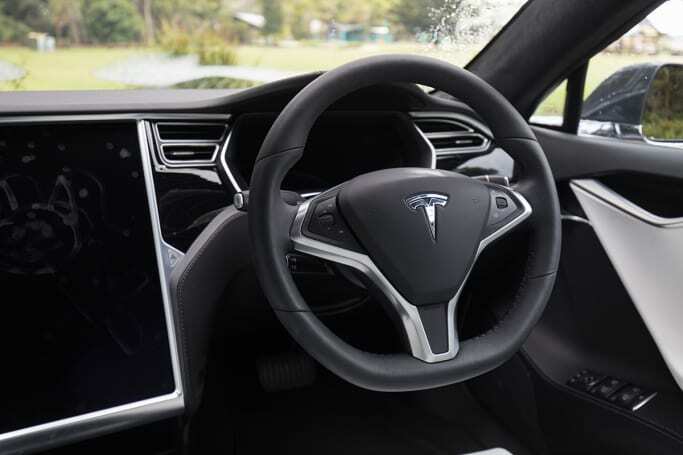 For example, when they introduced 'Auto Pilot' (the car will drive itself, however only on highways and it's still in beta testing phase), every Tesla model was downloaded the new feature. So older Tesla owners don't have to get a brand new car every time a new feature is introduced. Everyone who owns a Tesla gets the new technology. In true Elon Musk style, there are things on the touchscreen purely for entertainment called 'Tesla Eggs'. Tap the planet and be treated to an up close view of Mars. Yes, Mars. Tap another and the screen turns into a drawing pad with bright colours that kept my kids entertained on long trips (I was drawing, they were giggling and shouting out complicated things for me to draw, you know how it is when your kids think their parents are artists!). So it's fun. You can also log into the Tesla app on your phone and do things like set the air con to turn on five minutes before you get in the car so it's cool or warm by the time you're in, or auto drive the car out of a tight driveway. When you own a Tesla, you'll get a charger installed in your garage (at an extra cost) and you can charge it every night. I'm in a 75D which Tesla claims has a 466km range. I drove my usual route for six days and got down from 100 to 34 per cent, so it aces the regular suburban route test. The Tesla 'Supercharging' network is growing with 20 Superchargers in Australia and 13 planned for installation by the end of 2018. These allow you to get a full charge in 40-60 minutes. Tesla also has less powerful chargers more commonly dotted across the country, growing at a rate of one new location every 2.5 days. These require you to charge for a few hours, which is why they're mainly located in shopping centres and hotel car parks. 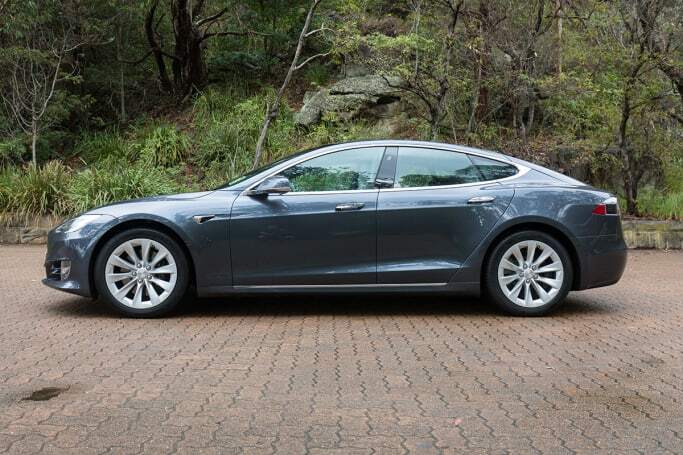 Tesla is also now installing chargers into workplace car parks to allow employees to charge while they are at work, and companies like Qantas have signed up for this. If you like doing road trips with the family, a Tesla will limit your driving range somewhat. 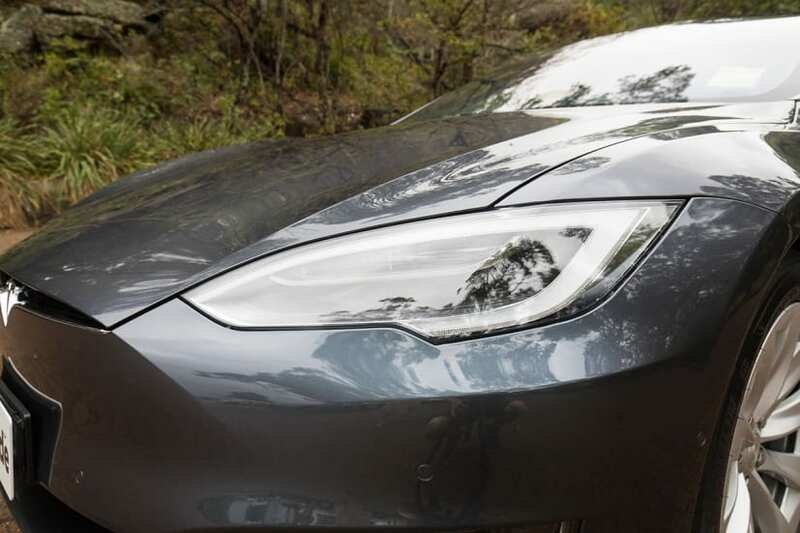 You'll be able to drive from Adelaide to Brisbane with strategically placed Supercharging stations en route, and there are slower charging spots dotted all over the popular tourist destinations, camping spots and weekend away places in Australia. But you won't be able to go absolutely everywhere yet. Still, most places are now covered. 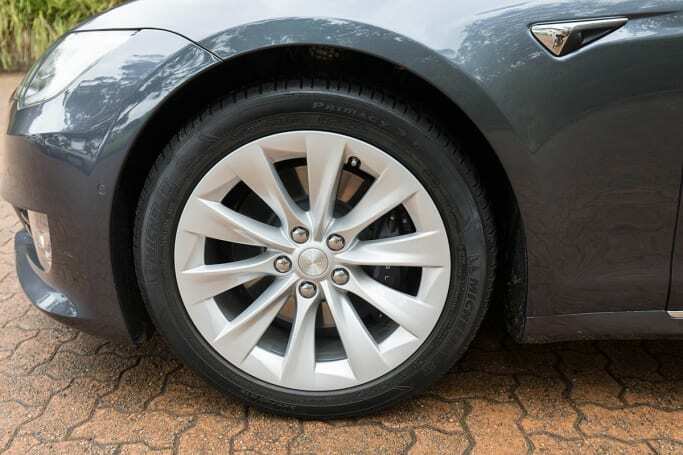 The Tesla Model S has six airbags which cover driver and front passenger and side curtain airbags for the rear. There are three top tether points and three ISOFIX points for kids' car seats. The heavy battery along the bottom of the car helps keep the centre of gravity low, which reduces the chance of a rollover, and in the event of an accident the power source will automatically turn off. And of course there is no petrol in the car to catch alight. Newer safety features are included like Auto Emergency Braking (AEB), plus lane departure and collision warnings. It gets a full five stars on the ANCAP rating. The Tesla Model S 75D comes in at $112,050, but the one I drove was optioned up to cost $160,290. You don't need any fuel, obviously, but you will need electricity to charge it, however running costs are markedly less than petrol. Tesla offers a four year/80,000km warranty with a parallel eight year/unlimited km warranty for the battery and drive units. Roadside assist applies for the four year warranty period. Your first 400kW/h of recharging is free using Tesla's supercharger network, so that would be four full charges from empty, or about 1600km worth. After that, it's approximately $26.25 for a full charge in the 75D. Clearly, I dig this car. The speed, the silence, the style, the space, the smart way it operates and updates, plus the no-petrol-electric-car factor win big points from me. 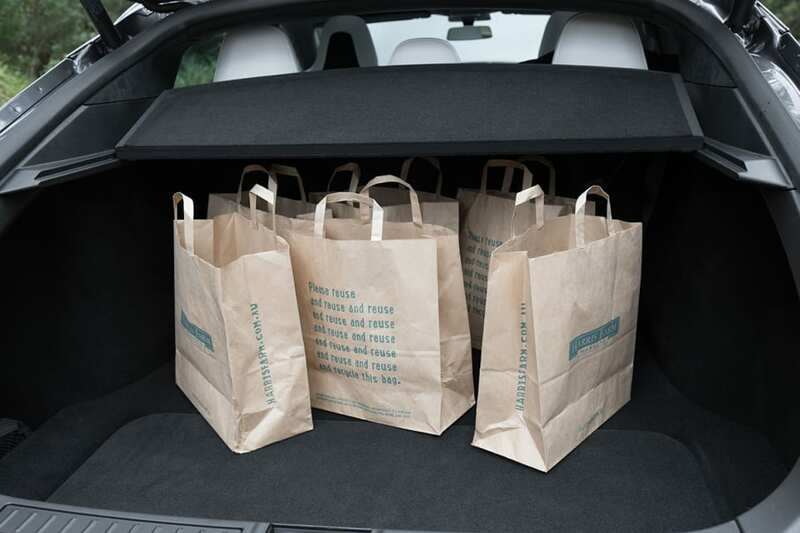 It's the kind of car you get when you want to up the luxury and technology stakes to a whole extra level, or just want a five seater that's not an SUV but has better boot space than one. It comfortably fit my family of four and was a pleasure to drive for the entire week. I gave it a family rating of 9 out of 10, and my kids also gave it their stamp of approval with 9 out of 10 - they're obsessed with drawing pictures on that screen. 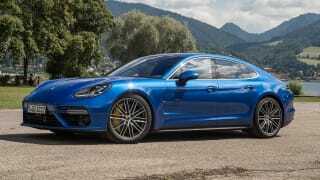 Uwe Schlanmuller road tests and reviews the 2017 Porsche Panamera with specs, fuel consumption and verdict at its international launch in Germany. 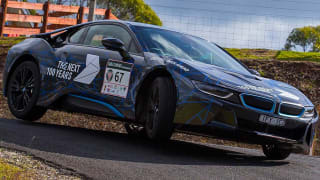 Peter Anderson road tests and reviews the BMW i8 plug-in hybrid supercar in the Targa Tour class at the 25th Targa Tasmania, with fuel consumption, specs and verdict. Craig Duff road tests and reviews the updated RS7 in Germany.